Covered with a thick layer of snow, the Italian Alps are a recognized paradise for the fans of alpine skiing. Italy’s ski resorts are not cheap, but their value is definitely worth it: they offer well-groomed ski tracks, excellent service, developed infrastructure and plenty of entertainments, including dog-sledding trips to outdoor thermal spas overlooking the snow-capped Alps. The number of ski resorts in Italy is just endless – you’ll be able to choose a favorite spot according to your budget, mood and adrenaline percentage in blood. 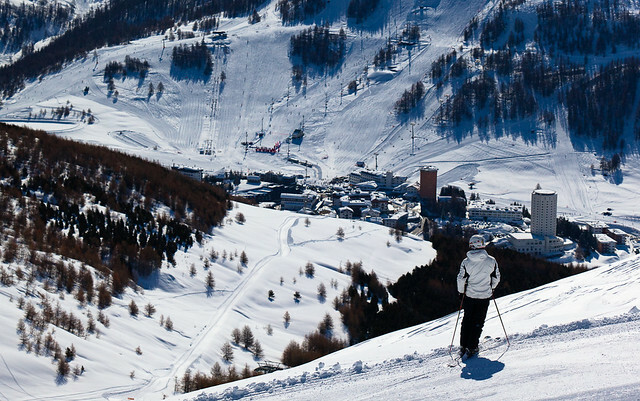 So, where to go and what to expect from the best Italian ski resorts? This mountainous area is often called the Queen of Dolomites. It was chosen by wealthy tourists for good reason – the significant historical part of the resort was listed by UNESCO organization as a natural heritage site, and pink sunsets can be so magnificent only there. 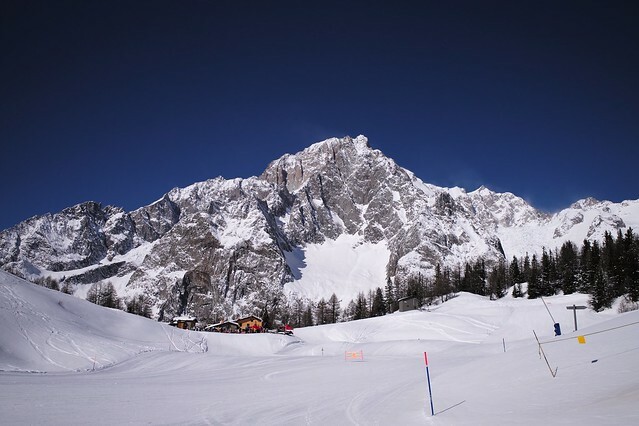 Cortina d’Ampezzo consists of 3 main skiing areas – Tofano, Faloria and Chrisallo and with the use of Dolomites lifts super ski pass subscription tourists can ride in each of them. Trails are designed for skiers and snowboarders with different levels of training, since beginners will be taught in the best local ski schools. Tofano hosted 1956 Winter Olympics, so there are several steep slopes for professionals. In addition to skiing, the resort also offers very unusual sports entertainment – ice polo and bouldering, which is extreme rock climbing on icy boulders. If you rent a car at rentalcars24h, you can get to this ski region in 3 and half hours from Venice or in 4 hours from Austrian Innsbruck. Located on the Matterhorn peak, Cervinia features the magnificent winter landscapes along with advantageous geological position. The wide slopes of one of the highest alpine regions attract numerous tourists with guaranteed snow cover. Cervinia’s easy trails will be perfect for the beginners, but the more experienced skiers will be able to choose several tracks for professionals. The ace expects will get a significant bonus – riding on the northern Swiss slopes in the famous Zermatt. 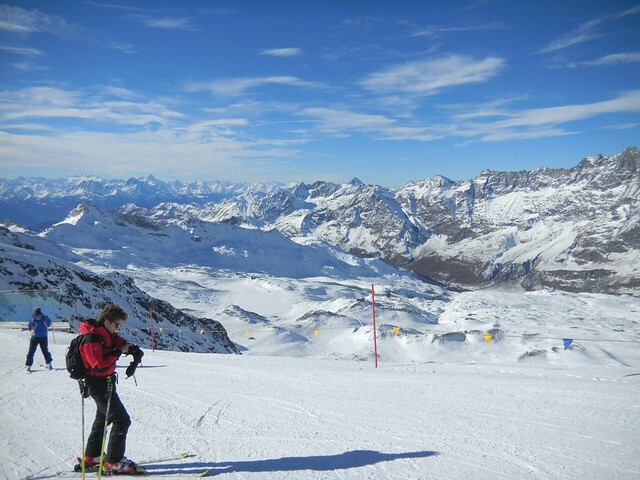 It’s easy to get to Cervinia from Geneva or Turin – they are situated literally two hours away from it. The resort is a part of the so-called “Milky Way” and provides access to the ski areas of Sauze d’Oulx, Sansicario, Claviere and Cesena located near the French-Italian border. Additional skiing opportunities are provided by the nearby French resort of Montgenèvre, and in total, it offers nearly 400 kilometers of ski tracks. Approximately 25% of the local slopes are intended for children and inexperienced skiers, and basically the terrain is suitable for tourists with an average level of training, although there are several decent routes for the advanced skiers. It’s interesting to know that the Italians have a special leisurely approach to skiing. Therefore, neither in the morning nor in the afternoon you see the crowds at the ski lifts. The nearest airport is located in Turin, which is less than 2 hours’ drive by car. Courmayeur is a popular typical alpine village with cobbled streets and the aroma of coffee hovering in the air. The area is part of the famous Valle d’Aosta with more than 180 ski slopes. The region is ideal for all skiers, and well-trained masters can head to the nearest French resort of Chamonix. On weekends, dressed-up Italian dandies come to Courmayeur from Turin and Milan. However, they don’t like to ski on the local tracks – they come there to enjoy the beauty of the countryside, food and shopping. Also, the resort has some very interesting entertainments – dog sledding and heli-skiing, which is a freeride far from the circled tracks on the virgin ski slopes, to which you will be delivered by helicopter. In the vicinity of the lively Bolzano city, in the valley at the foot of the magnificent Dolomites, there is a real ski paradise called Val Gardena. It’s widely known for holding the Alpine Skiing World Championships on its territory. Such combined ski areas as Ortesei, Santa Cristina and Selva are suitable for all categories of ski tourists, and Sella Ronda circular route is especially loved by skiers. Snowboarders are attracted by the so-called powder – riding in deep soft snow. Val Gardena is famous for its handmade wooden souvenirs, so it’s worth buying a few pieces for memory. Innsbruck is located 120 kilometers away from the resort, and Verona is about 190 kilometers away from it. Alta Badia ski resort is located in the south-east of South Tyrol at the altitude of 1,300 meters above sea level, in the center of the Dolomiti Superski ski run. This place is perfect for exploring the Dolomites. The ski season is open from late November till mid-April – during this period there’s no better place for skiing and snowboarding. 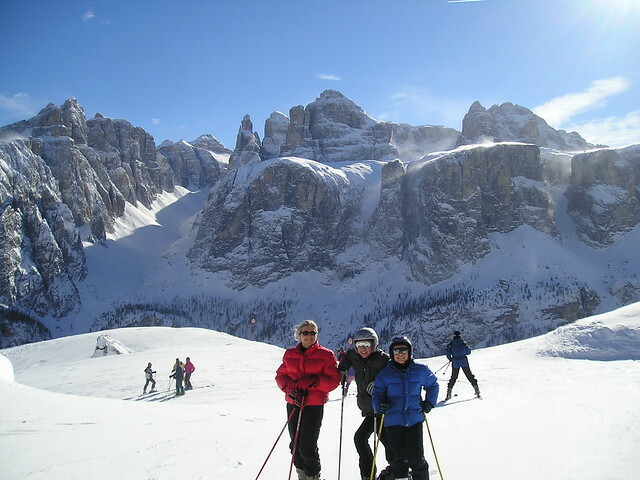 Alta Badia is equipped with modern ski lifts and prepared ski slopes. This spot is especially popular among experienced skiers, but a small ski area for children and beginners is also available.